The portable hotspot is a small device that connects to the Internet over a mobile network, and creates a WiFi access just for your phone, tablet and others (is also know as a Mifi, internet router or dongle). Provides Internet connection to WiFi devices: Phone, Tablet, Computer …you name it, it works perfectly. As a rough guide, with 4GB you can get 100 hours browsing the internet, send or receive 1500 emails, make 100h of voip calls, listen 80h of music in Spotify or watch 15h of videos on YouTube. Connect up to 10 devices simultaneously. Provide Internet access to your friends and family during your vacations in Spain. We give you super fast Internet speed. With 4G LTE, enjoy internet with up to 80Mbps download speed. 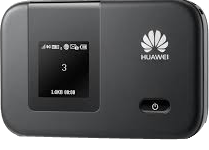 As small and light as a cigarette pack and with up to 12 hours of continuous usage, you will have internet connection anytime, anywhere. You get a pre-paid service. Unlimited traffic and duration are predefined, there will no be extras charges in the end with rent wifi Spain. Turn on the portable Hotspot and you will be connected to the Internet in seconds. – The hotspot connects to a mobile phone network in Spain to get internet access. * Due to customs restrictions in Canary Islands we do not deliver WIFI Hotspots at this destination.